The Rutherford Boys’ and Girls’ Cups for the best boy and best girl who accumulated most points is awarded annually on Sports’ Day. The cups were first presented in 1969 by Mr & Mrs Robert and Mr & Mrs Samuel Rutherford, (Robert and Samuel being twin boys) whose children Helen and Noel had just completed P7 in Anahilt Primary School. Over the years the cups had deteriorated and much of the silver had rubbed off them. 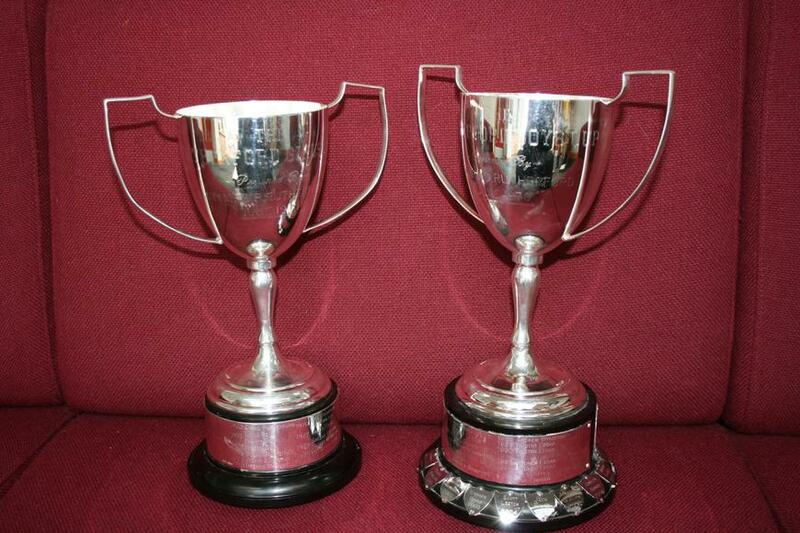 Due to the generosity of the Rutherford families the original cups have been re-silvered and refurbished. 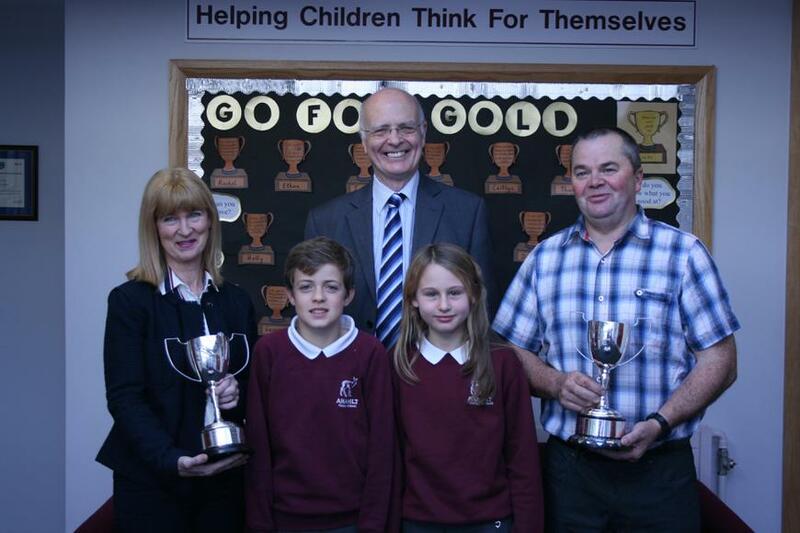 Jill Grudgings (nee Rutherford) and Noel Rutherford presented the cups again to Jessica and Daniel, the latest winners. Mr Derek Capper, Principal, thanked the two families for their generosity in having the cups restored to their original condition. He hoped that all the previous and future winners would appreciate this as they competed in Sports' Day events.